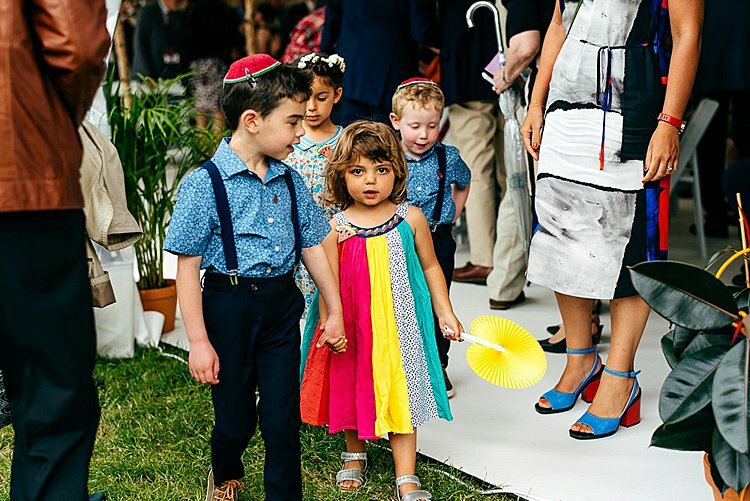 Here at STG HQ, we’ve just about come down from the high of our Smashing Summit and launching the VIB club – so normal service resumes once more in the form of this amazing, colorful and uplifting Jewish real wedding. 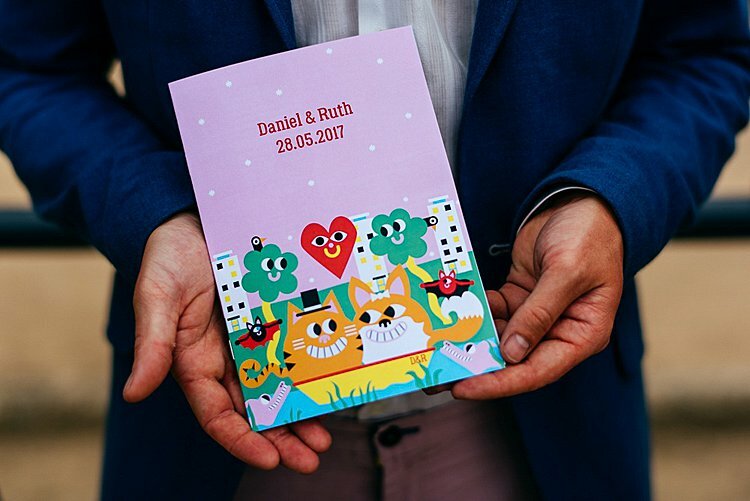 Ruth and Dan are both journalists, and they applied their creative skills to their wedding with aplomb! 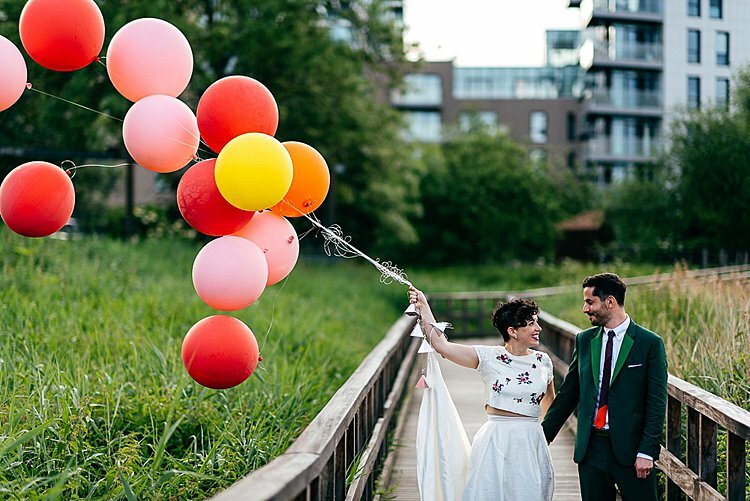 The day was an absolute visual feast, from the eco-friendly and foliage-heavy floristry, to the magically lit marquee and the bright, color-pop giant balloons. Just gorgeous! 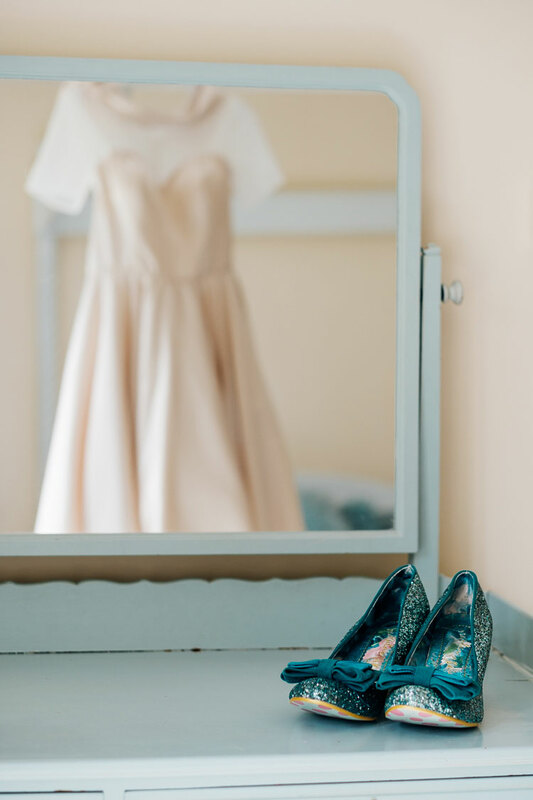 Bride Ruth showed off her unique and stunning sense of style with her two-piece BHLDN ensemble, and looked a vision in it, pairing it with some killer heels from ASOS, before changing into her sensible-but-gorgeous Kurt Geiger bridal flats. 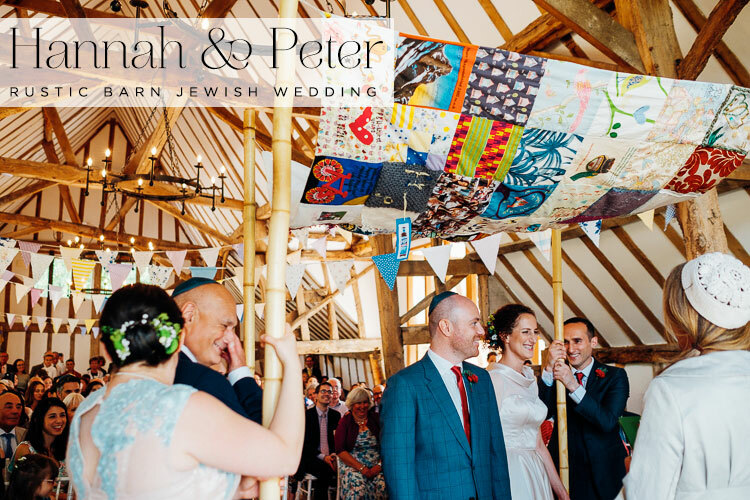 Even their chuppah has an adorable origin story, with the couple constructing it together with their best friends, who tied the knot the week before Ruth and Dan’s wedding. 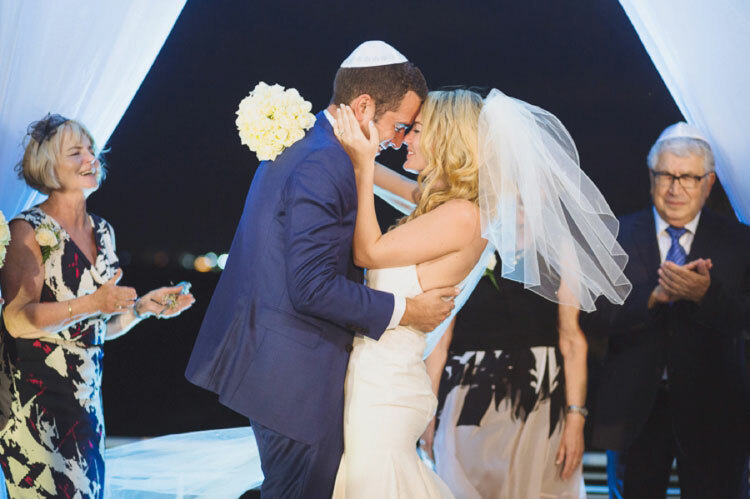 Both bride and groom made a speech (hooray) and the couple had a moving Reform Jewish ceremony, involving the whole family, and honoring Ruth’s late grandfathers by using their tallit to cover the chuppah. 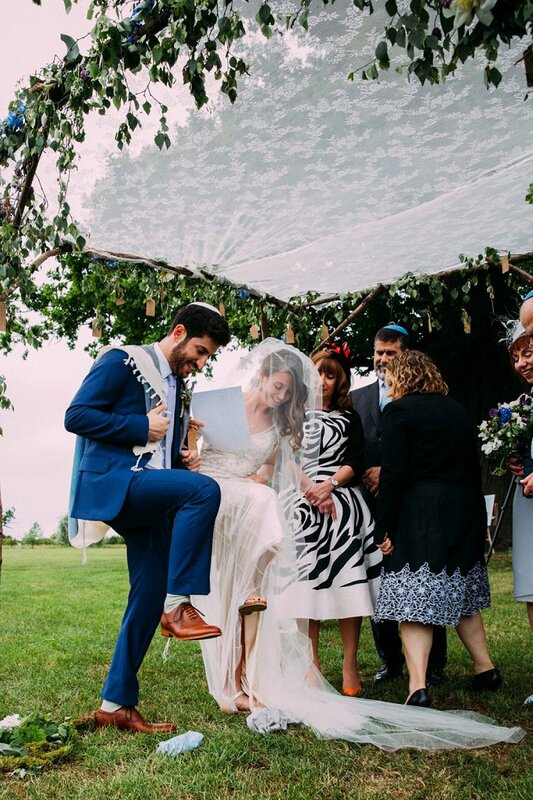 Jordanna Marston absolutely smashed the photography, with her expert eye for character and emotional moments, while the tear-jerking wedding trailer was provided by Olive Grove Films. 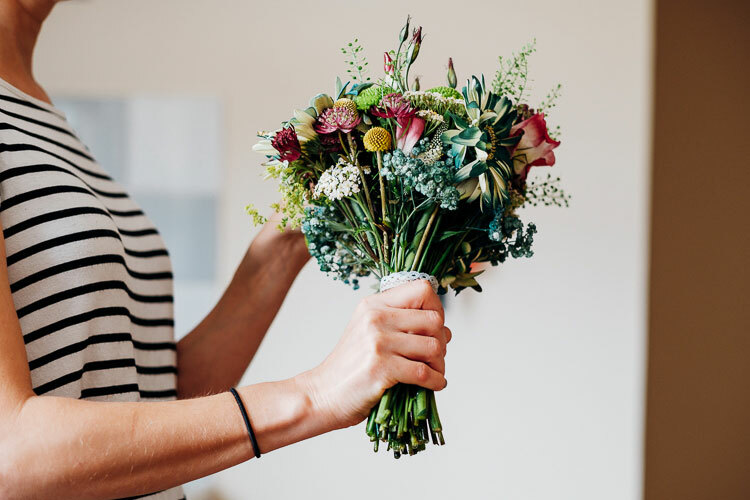 We’ll leave you now with Ruth’s incredibly eloquent write up – we know you’ll all enjoy reading it and gazing at all the wedding pretty as much as we did! 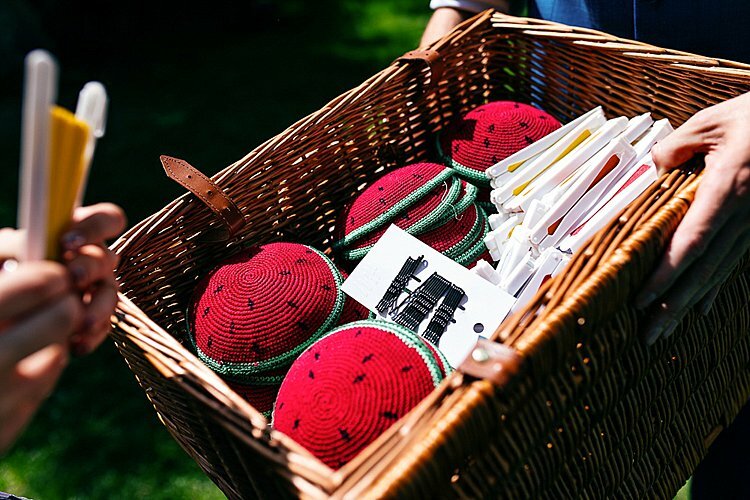 Ruth, the bride: We met at a Halloween party in 2009 (our costumes are too embarrassing to share… let’s just say it’s a miracle we got talking). 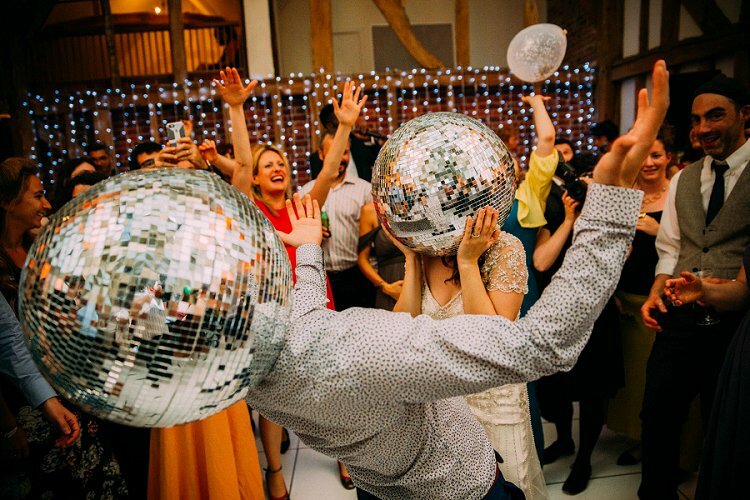 The two friends who brought each of us to that party were at our wedding, pleased as punch. 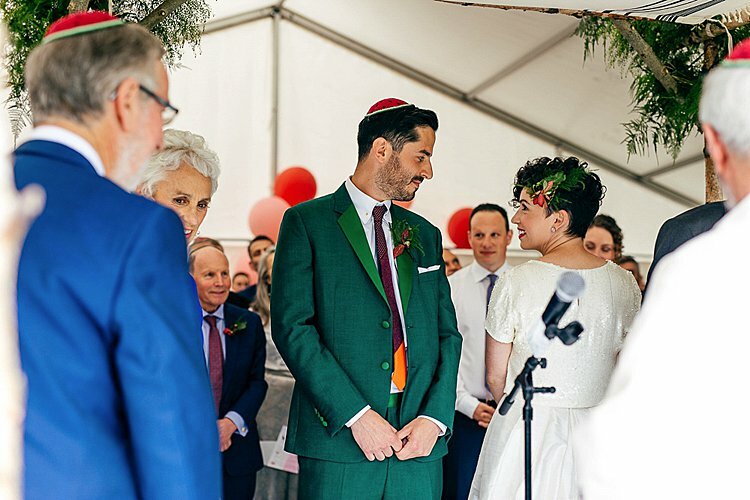 Hold up – press pause on your day, put down that deadline for a minute (I know, we’re terrible influences) and take some proper time to appreciate the utter gorgeousness that is Becky and Adam’s Jewish wedding! 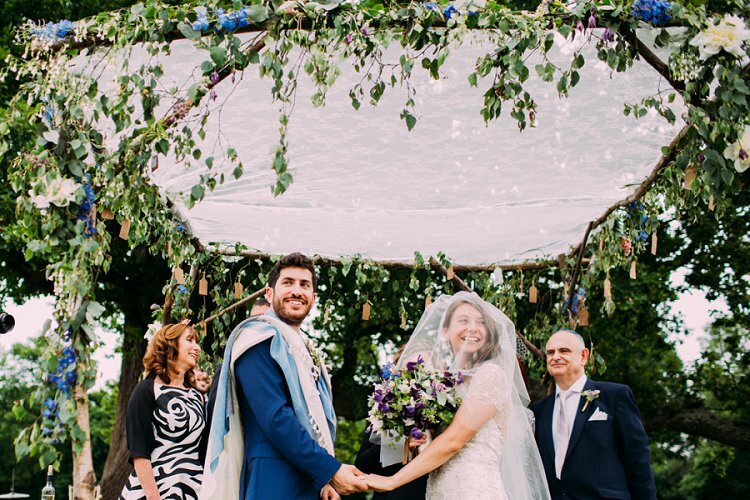 We thought we’d seen every chuppah design out there, but a living-tree chuppah, adorned with friends’ and family’s blessings and wishes for the couple’s future is such an awesome, unique idea. 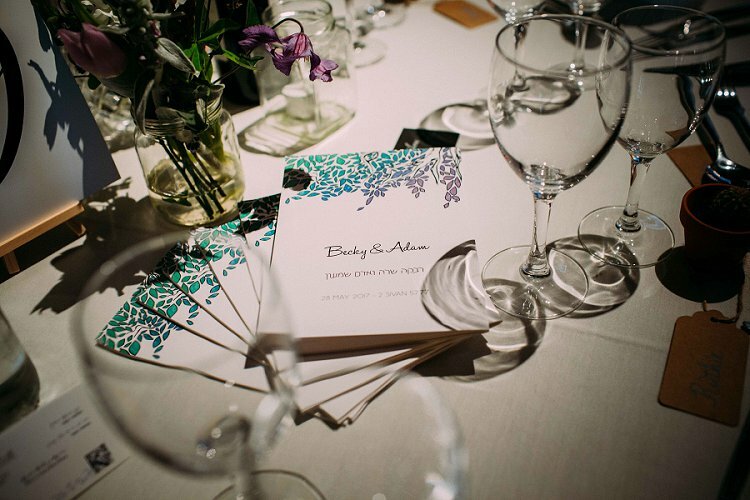 There are so many incredible hidden gems at their venue, Micklefield Hall, but Becky and Adam were the first couple to get married underneath that tree, making their own mark on the venue’s story. To say Becky and Adam did things their way would be an understatement – they did things their way, and then some. We LOVE that bride Becky stayed true to herself, even when under pressure, and went with her own beeeeautiful minimalist makeup look. Becky did so with the confidence that, in the words of the couple’s wonderful photographers, Adam and Hannah, “the best photos are of a happy bride”. 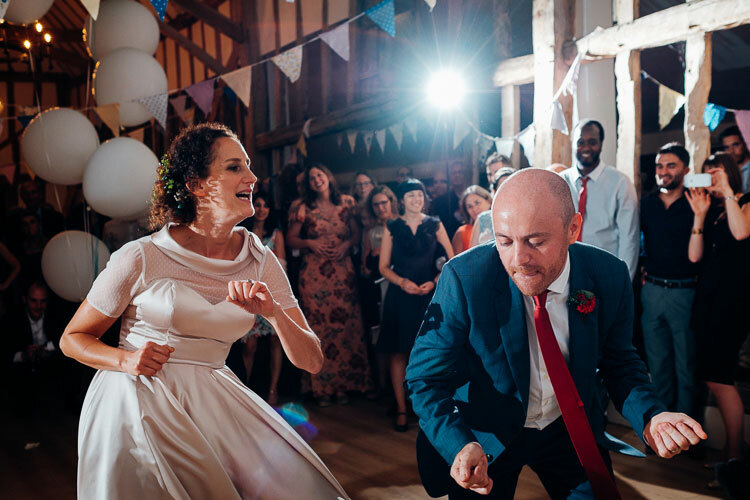 And right they were – Becky’s happiness and ease with herself glows through in the stunning spread of wedding pictures Adam and Hannah provided. Becky’s detailed Maggie Sottero gown also looked like a dream on her, and was a perfect fit for the rustic, boho-style aesthetic of the day as a whole. 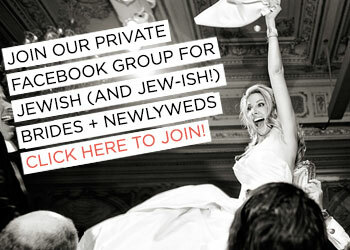 The couple opted for a really personalized Jewish ceremony, with both bride and groom smashing a glass. 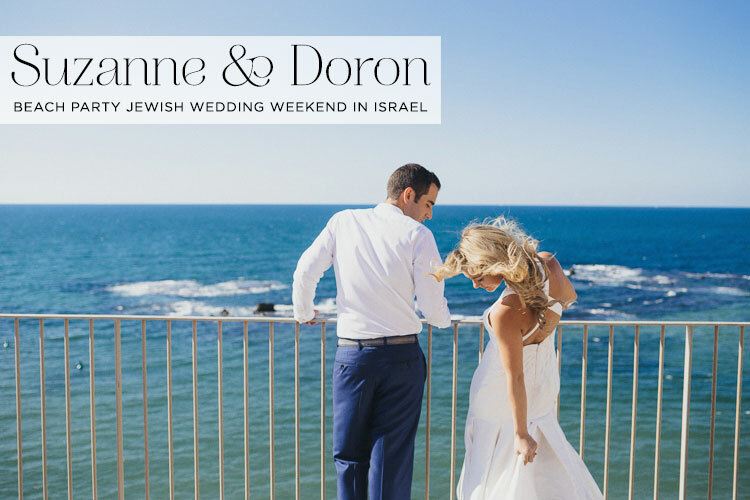 We are SO here for that, and it’s a prime example of how Jewish customs don’t have to be antiquated. 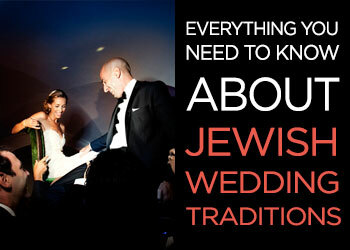 You can absolutely make them your own and construct a ceremony that works with your own values. 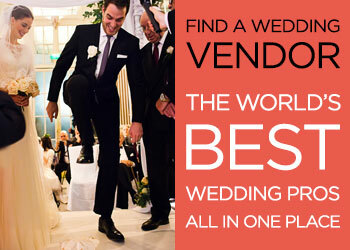 THREE of our incredible Recommended Vendors were involved with this love-filled big day. 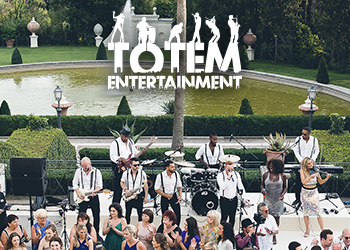 The ketubah was lovingly made by Ink With Intent, wedding band The White Keys rocked the reception and videographer Moon & Back made the cinematic, heartfelt wedding video below, which you simply MUST watch! 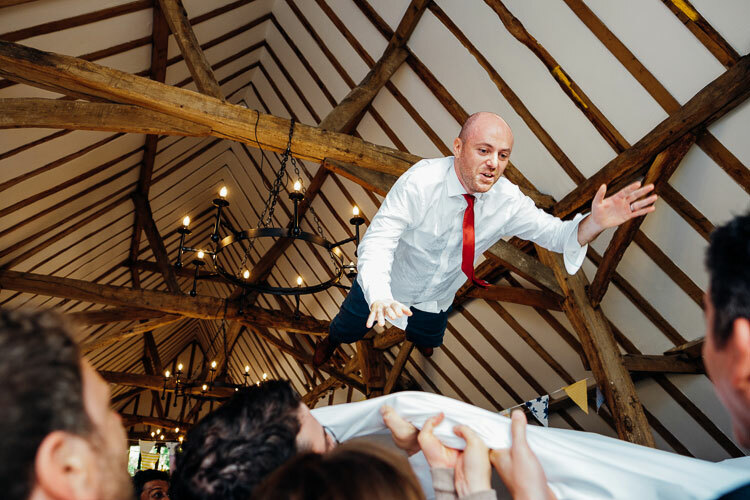 There’s so much more to say about this breathtaking day, we haven’t even had time to touch on the divine dà©cor, but we’d be going on forever, so we’ll pass you over to Becky, and Adam, for the full report. 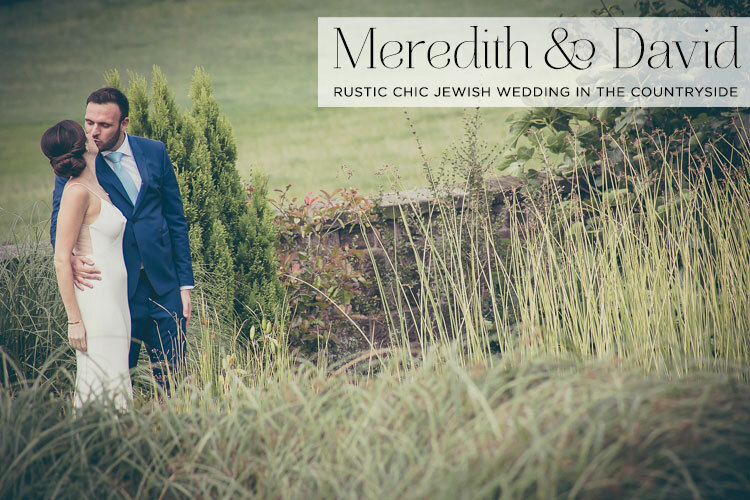 Meredith & David have got the balance of rustic AND glamorous just right. 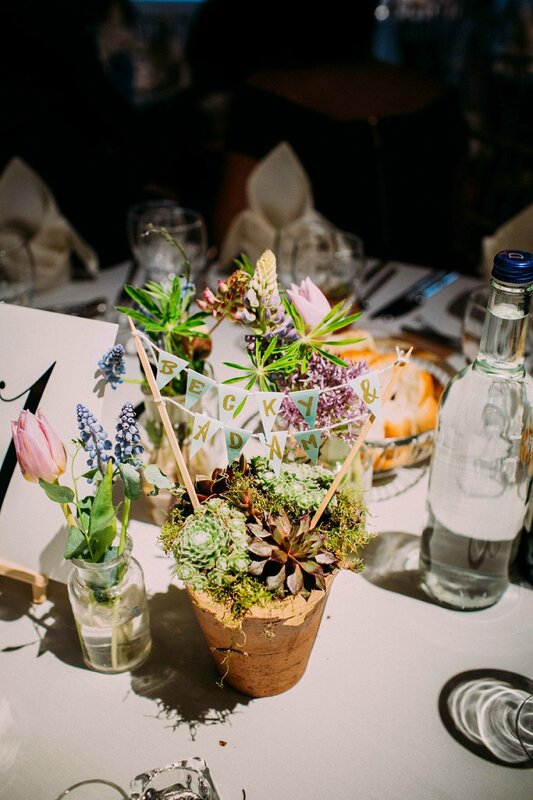 The combination of gorgeous wild flowers, pastel tones and personal touches, alongside the beautiful barn setting of Heaton House Farm in the Cheshire countryside is utterly perfect. 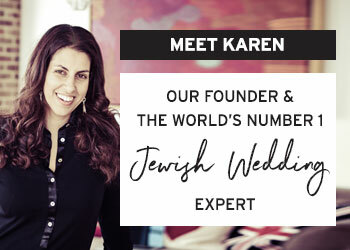 Meredith is American, and David is British but they both live in NYC now, so this is actually a Jewish destination wedding in the UK! 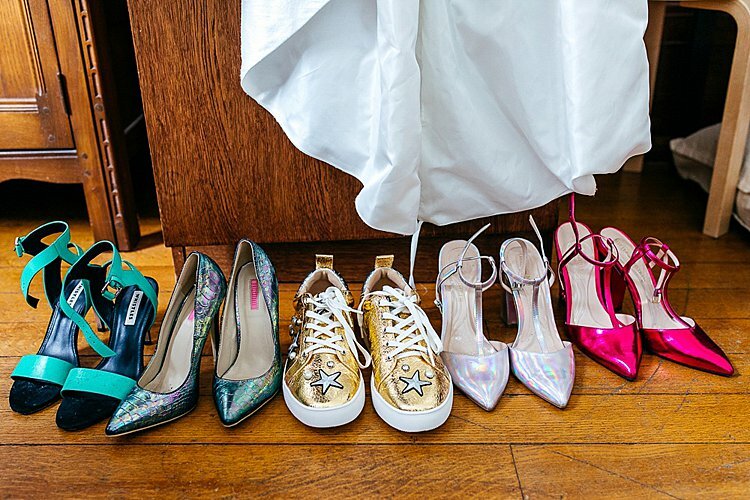 Their W Day is bursting at the seams with thoughtful details, elegance and fun, like the bride’s sky high pink Prada heels, a beautiful lopsided wedding cake (read on to hear the story behind that! ), a meaningful ceremony, and girls on roller skates giving out shots at the after party! F-U-N ! 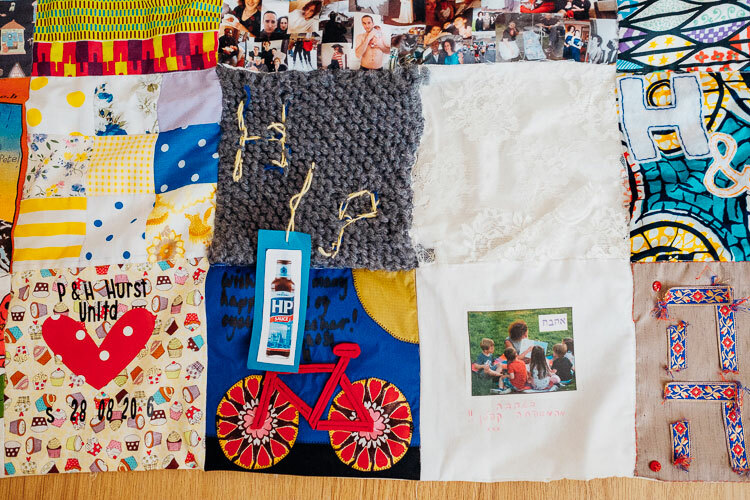 Something that really touched me was hearing about a keychain made by the bridesmaids for Meredith depicting her beloved brother and stepfather who had tragically passed away some years before the wedding. 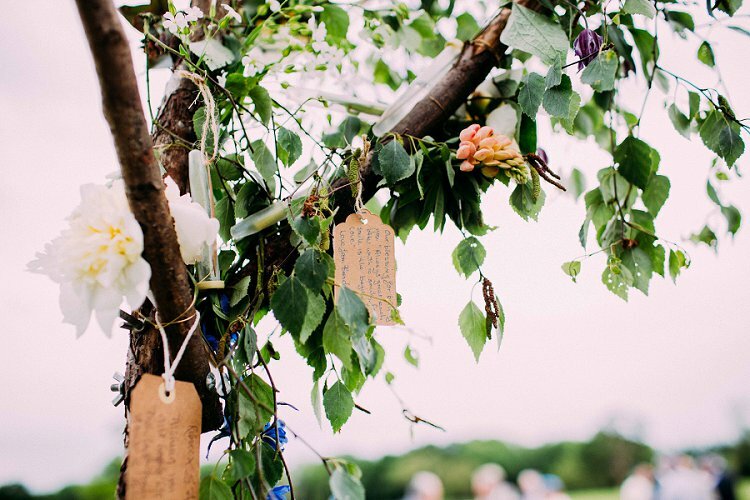 Meredith attached the keychain to her bouquet for the wedding day itself, and to this day, carries it on her keys for a beautiful daily reminder of her wedding and her brother and stepdad. 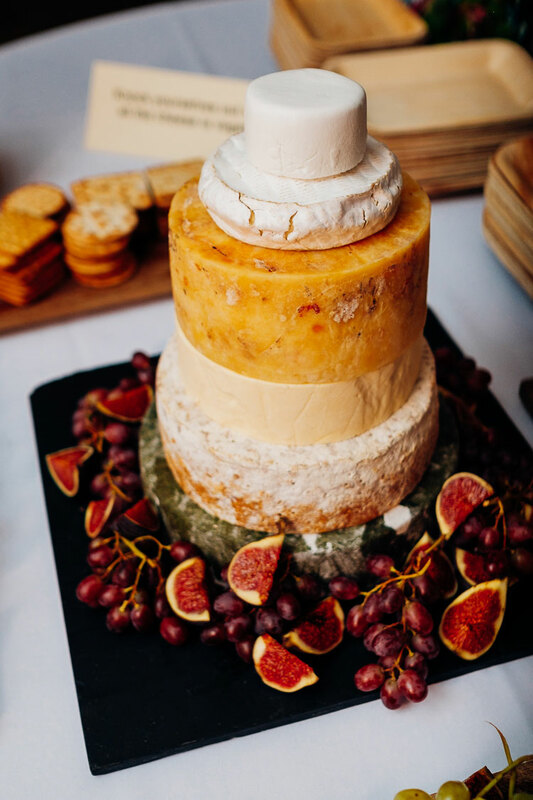 Enjoy this sweet treat of a wedding — it’s romantic and whimsical but also sleek and stylish. And looks effortlessly so at that. All of the fabulousness was captured by STG regulars, Reportage Gallery, with the most gorgeous film by Minty Slippers at the end. Meredith, the Bride: Dave is British (he’s from Manchester) and I’m American (born and raised in New York) and we met though a mutual friend. My brother’s friend introduced me to his wife, who is from Manchester. We became friendly and she set me up with dave. This is really meaningful to us, as Dave never got to meet my brother Gregg, who passed away in 2008. In a way, it feels like Gregg brought Dave into my life. Dave reminds me a lot of my brother and having this connection to my brother is very special.